Climate change can increase forest vulnerability to damage and disease, reduce forest health and productivity, and cause economic losses. The EU project B4EST was recently launched with the aim of providing forest tree breeders, forest owners, managers and policy makers with better scientific knowledge to deal with these issues. B4EST will combine expert knowledge from forest actors with the generation of new scientific information on tree species sensitivity and capacity to adapt to climate change. It aims to provide new, flexible and resilient tree breeding strategies and tools, which take into account old and new pests and diseases currently threatening European forests. B4EST will match the already available and newly identified forest genetic resources to the environments where they will perform best, and provide recommendations for policy makers and forest managers. The project focuses on 8 of the most economically, ecologically and socially important tree species in Europe, covering a wide range of current and potential habitats, industrial uses and societal values. The goal is to increase forest survival, health, resilience and productivity, while maintaining genetic diversity, key ecological functions and fostering a competitive EU bioeconomy. The project consortium includes 19 partners from Finland, France, Italy, Netherlands, Norway Portugal, Spain, Sweden and the UK, as well as the European Forest Institute. 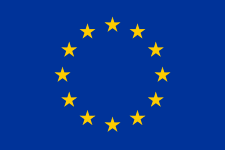 The EU is funding the project with about EUR6 million over a four-year period.